Selling or buying property is one of the biggest steps you will take in your life. Besides the fact that dealing with property means dealing with large sums of money, it also ushers in a new world of laws, language, and knowledge that can be as baffling to wrap your head around as a scientific equation. It is for all these reasons that finding and enlisting the support of a top real estate agent is your secret weapon to navigating through this life altering process. So whether you are looking to sell your home after starting a family, needing to relocate, or simply wanting to down/up size, finding a top real estate agent will be the key to your success as they guide you in the right direction. First things first – how do you even find these sought after top real estate agents? Well, on of the easiest ways of doing this is to attend an open houses. This way you can actually see the agent in their natural environment, doing what they do best, and hopefully at the peak of their game. You will be able to get a good feel for the agent as you are able to speak with them and get to know them and their work style. Getting to know the real estate agent is incredibly important as you need to make sure you get someone who understands you and your wants in a home. Another way of finding an agent is by searching the Internet. Thanks to the open platform of the internet you will be able to quickly gage the quality of an agent simply by researching them and cross referencing their reputation with peer and client reviews. It is important to understand, however, that sometimes the reviews can be a little jaded, so don’t rely solely on what you read online. Finally try asking friends and family about the top real estate agents that they have worked with. Agents often rely on word of mouth references, and maintaining a good reputation is key to their success. Once you have found your agent it is crucial that you truly get to know and chat with them. As we mentioned above, this is so that he/she will be more in sync with what you are looking for in a house and thus be far more successful in finding you the right home as effectively and efficiently as possible. One way of doing this is by going for a drive with your agent in the areas that you are attracted to and pointing out the places that draw your attention. Make sure you highlight the reasons why you like a particular house or area and what your top priorities are when it comes to choosing a home. A top real estate agent will quickly tune into what it is you are looking for. Finding an agent that you can relate to and who will understand you is your key to finding your perfect home, so take time in looking for your agent, just as in taking time to find a house that you’re going to live in for a long time. When it comes to selling your home a top real estate agent will again be your secret weapon. Instead of just doing the basics – such as simply sticking the “For Sale” sign outside of your house – your agent should go above and beyond to provide advice as to how to make your home more attractive to potential buyers, guide you as to a realistic pricing for your home, assist with the conveyancing and documentation attached to the sale, and ultimately get you the right buyer and price for your home. Your agent should help you with a strategy that you could put in place to get your house sold for an amount you are happy with and by the time you want it sold. We all know how daunting the paperwork is when it comes to selling your home – with the right agent there to help guide you through this process, the paperwork will be a breeze! The value of having a top real estate agent by your side is insurmountable. 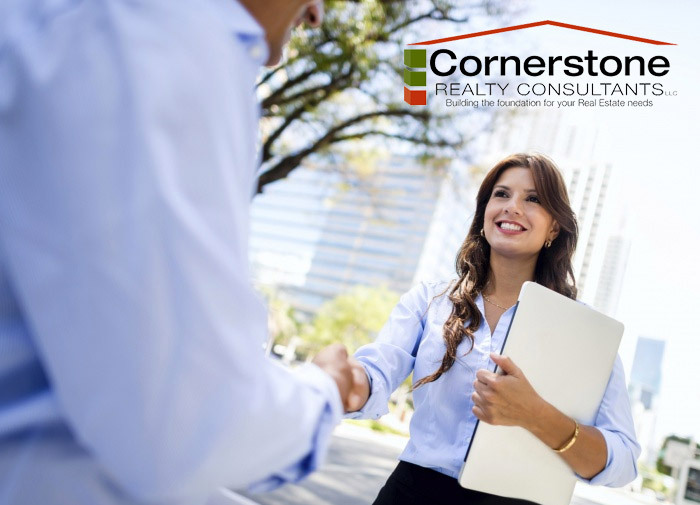 If you need any advice or help regarding the buying, selling or renting of property feel free to contact the trusted real estate agents at Cornerstone Realty Consultants today.